It’s hard to ignore the growing health food section at our local grocery stores. However, some people follow diets and trends without knowing what they are or aren’t consuming. In a popular sketch by Jimmy Kimmel (found here), pedestrians who claimed to be on a gluten free diet did not seem to know what gluten was. Gluten is a group of proteins (glutenin and gliadin) found in grains such as wheat, rye, spelt and barley. When gluten is consumed, most people have no issues unless they are sensitive to it, much like an allergy. Celiac disease is when the autoimmune system treats gluten as a foreign invader, and attacks it along with the lining in the intestines. 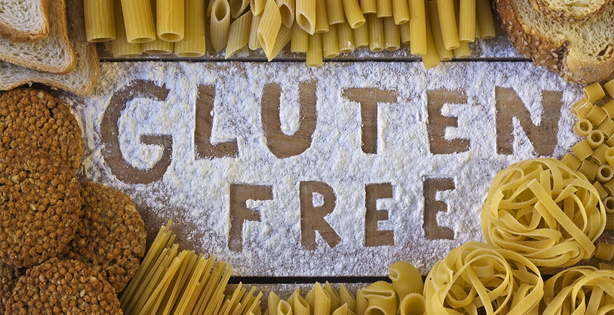 For those who are sensitive to gluten, even trace amounts may result in severe illness. Breads, pastas, beers or any wheat product must be avoided. While there are plenty of gluten free alternatives available, they can be loaded with sugars, fats or carbohydrates. Be sure to check the ingredients list and the nutritional facts table to make sure what you’re eating is actually healthy for you!